Chef Tom Sellers, who began his career as a 16-year-old apprentice with The Hammer & Pincers in Leicestershire in 2004, has won an award for running the best restaurant in Britain. His Michelin-starred restaurant Story in Southwark, south London, has topped OpenTable’s 100 Best Restaurants list. The list was compiled by 340,000 OpenTable diners from across the UK in the past 12 months. Sellers’ menu is inspired by the history of British food and features exclusively British produce paired with fine wines and British craft ales. 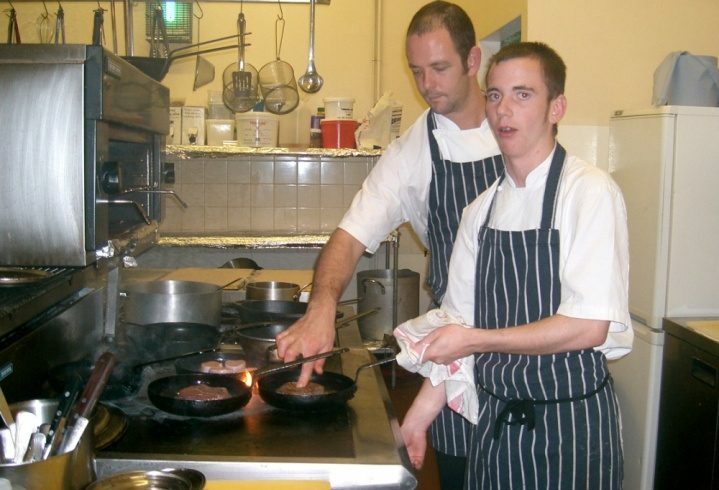 The picture (above left), sent to us by Hammer & Pincers owner Danny Jimminson, shows Tom’s first day in his first chef’s job, working the stoves with sous chef Damian.